of the New FIA Formula E Championship. The Fédération Internationale de l'Automobile (FIA) has reached an agreement to licence the commercial rights of the FIA Formula E Championship to a consortium of international investors, Formula E Holdings Ltd (FEH). 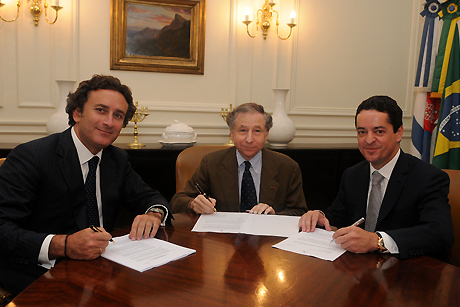 FEH, the new promoter, has as anchor investor London-based entrepreneur Enrique Bañuelos, and as CEO and shareholder former MEP and racing team owner Alejandro Agag, who has a long experience in the motor sport business. Also associated with the project are Lord Drayson, Managing Partner of Drayson Racing Technologies, and Eric Barbaroux, Chairman of the French electric automotive company "Electric Formula". Demonstration runs of the Formula E cars will start in 2013, followed by the championship in 2014 with an objective of 10 teams and 20 drivers participating in the competition. The races will be ideally staged in the heart of the world’s leading cities, around their main landmarks. "I would like to thank all the parties involved. This new competition at the heart of major cities is certain to attract a new audience. We are pleased with this agreement with Formula E Holdings as they bring a very strong experience in motor sport. This spectacular series will offer both entertainment and a new opportunity to share the FIA values and objectives of clean energy, mobility and sustainability with a wider and younger audience as well." 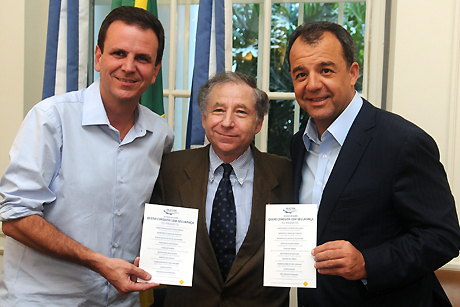 "We are very pleased with the agreement reached with FIA. We see this as a great opportunity to create a new and exciting spectacle mixing racing, clean energy and sustainability, looking to the future. We expect this Championship to become the framework for research and development around the electric car, a key element for the future of our cities."